Kodak Portra 160NC, scanned from 4x6 inch print. 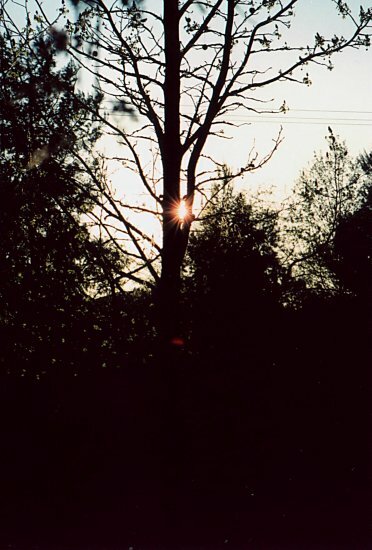 It was shot directly at the sun that had been partially blocked by the tree. There were no filters attached.